The Harvesters’ fight for the NJCAA national volleyball title came to a dramatic end Saturday in a five-set match against first seeded Owens College, ending in a showdown that saw both squads lose and regain the lead. 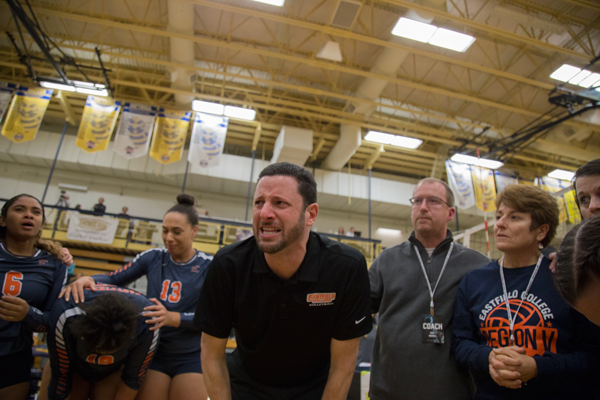 The Harvesters dropped the first two sets to start the match before coming back for a 25-19 third set win in what Eastfield coaches called the best volleyball they had ever seen. Crisp and many of the athletes had tears in their eyes after the match. They gathered in the locker room after to praise each others’ efforts and lament about the struggles and successes of the season. Eastfield and Owens both went into the championship match without having dropped a single set. Owens, which went from NJCAA Division II to Division III this season, had not dropped a set in more than 40 played. Owens took the first set 25-20 and the second 25-17 before Eastfield rallied for 25-20 third set and 25-19 fourth set wins. The teams went back and forth for the lead in the fifth set before Owens came out on top 15-13. Eastfield led the match in kills with 62 kills to Owens’ 59 and scored 72 points to Owens’ 71. Kiki Reyes led the squad in kills with 24 in 64 attempts. The Harvesters loss was due to in part errors, Crisp said. The squad had eight service errors and seven return errors. Still, Crisp said eight service errors over five sets was good. The Harvesters finished second in the nation with this match. 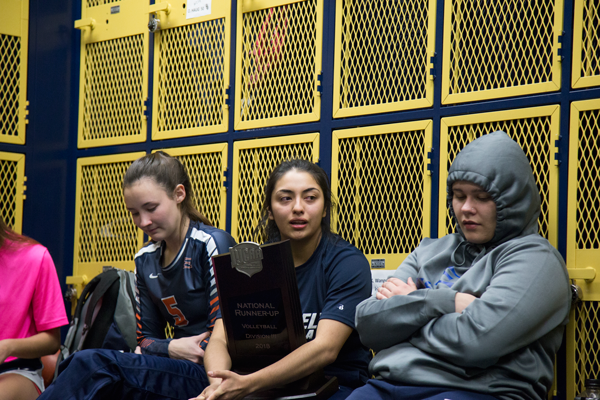 Last year’s squad brought Eastfield’s first women’s national title for any sport back from Rochester and the year before the team placed third. Owens placed second in the NJCAA Division II national tournament last year. The college stepped down to Division III this season, meaning it could no longer offer scholarships.